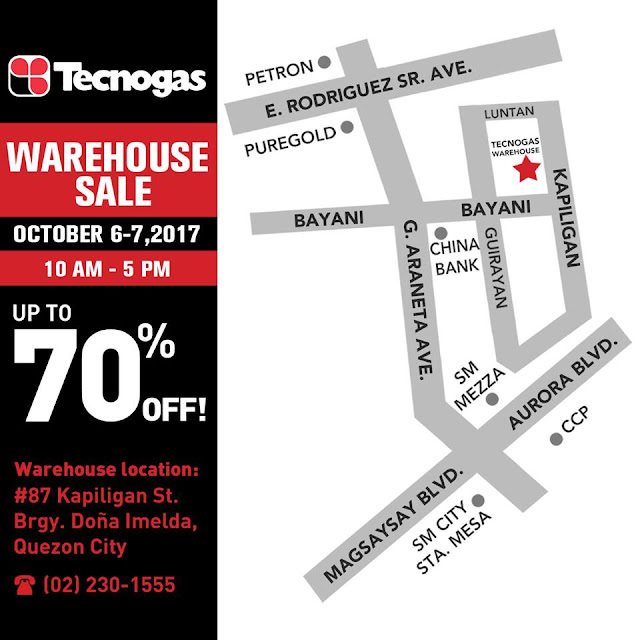 The Tecnogas Warehouse SALE is back! Check it out on October 6-7, 2017 at Brgy Dona Imelda, Quezon City. 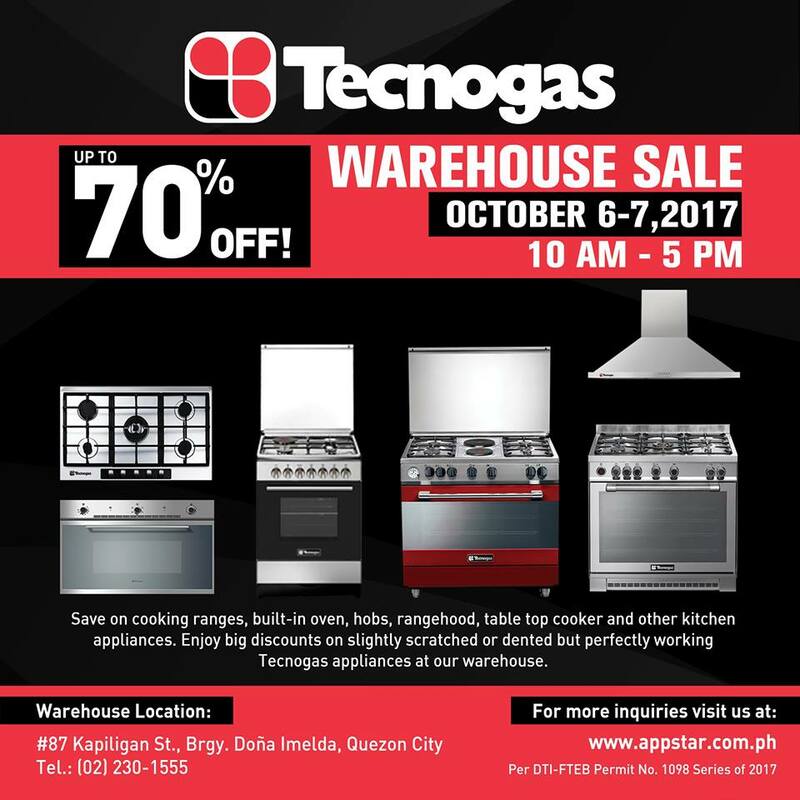 Get up TO 70% OFF on cooking ranges, built-in hobs, built-in ovens, range hoods and table top cookers.